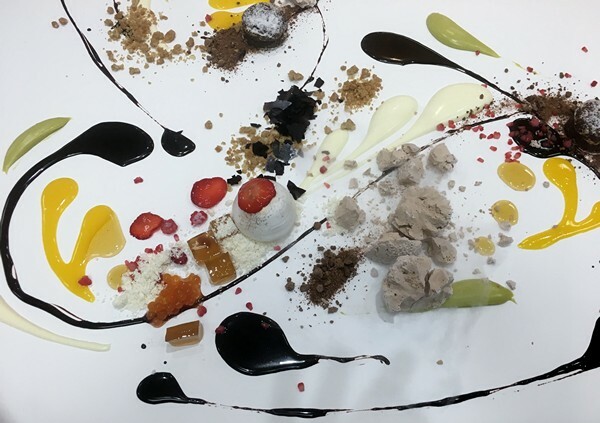 Dessert, the grand finale of the Chef’s Table at Mohonk Mountain House is truly spectacular and at some point in your life, you deserve it. 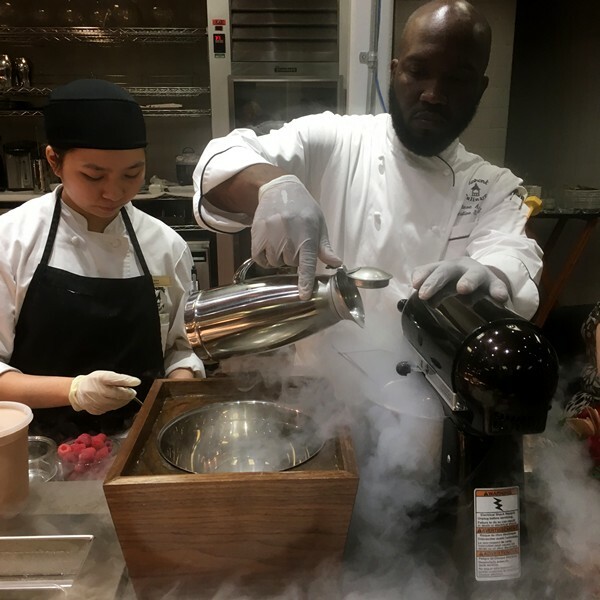 After polishing off ten amazing savory courses, including a cheese course with “carbonated” grapes—yup, they distract you by making a preview dessert–little ice cream magic with homemade mini ice cream cones and liquid nitrogen, which essentially turns anything creamy into ice cream in a flash. Behind her, another chef with a vial of mango puree, dashing and dribbling alongside the chocolate. They repeat this, building the dessert by adding crème fraiche, pistachio cream, bits of frozen raspberries, and squares of Amaretto jelly. When it’s decided that the table is properly decorated (or more likely they’ve run out of space), meringues, gilded and filled with white chocolate and strawberries are placed in front of each diner. 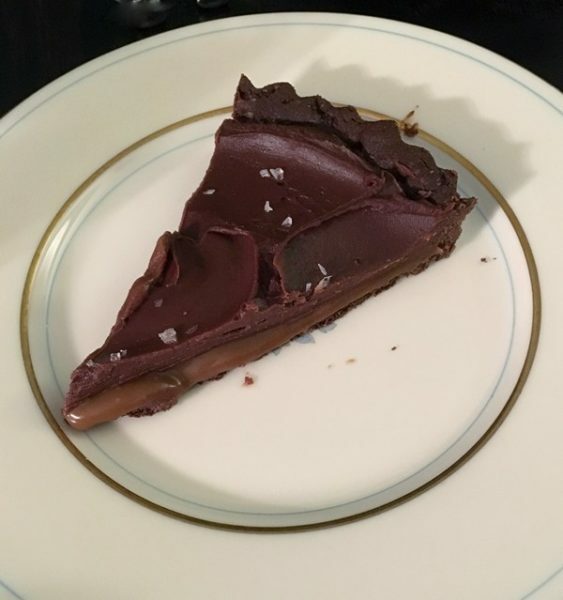 That’s followed by a small hockey puck of dark chocolate cake and just when you think they’ve run out of stuff – a blob of frozen chocolate mousse is plopped down and smashed, sending the shards through all the different flavors. The idea of this dessert extravaganza is to do exactly what your mother told you never to do—play with your food! Smear the chocolate cake through the mango and chocolate purees and hope to pick up a bit of frozen raspberry on the journey. Try sticking the meringue with some of the blueberry paper and hmm, maybe the crème fraiche. 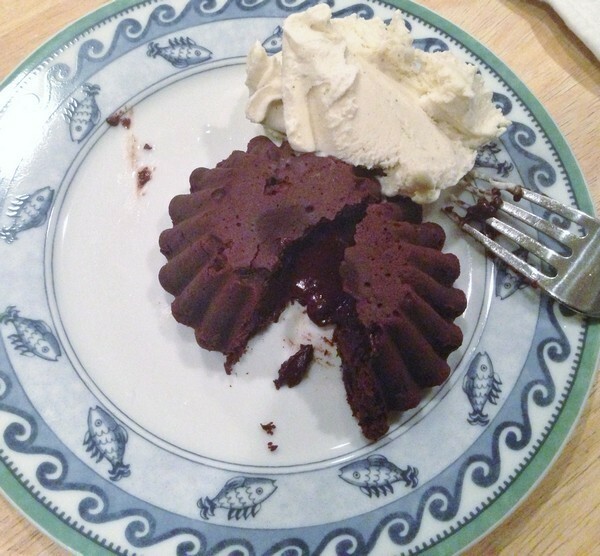 Or, what turned out to be my favorite, the brown butter crumbs on almost anything, but especially the frozen chocolate mousse fragments and the chocolate sauce. There’s no one, even in my group of chefs, who isn’t smiling. 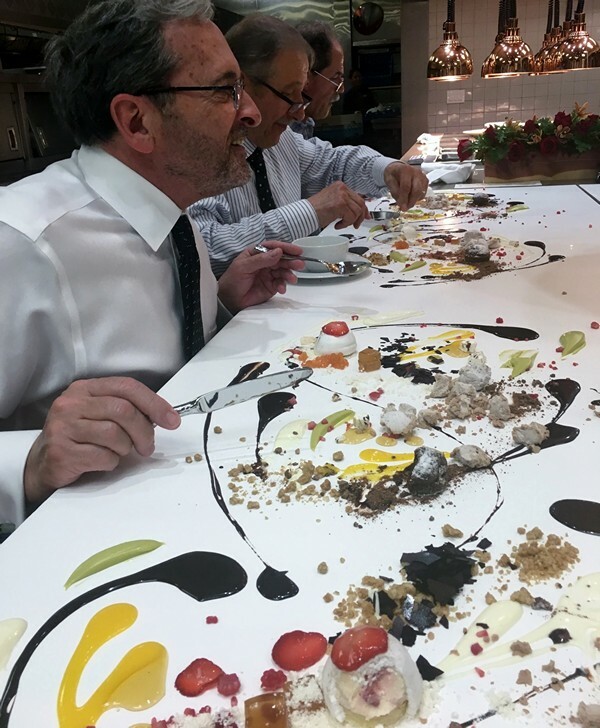 And, even after the ten or so previous courses, there’s no one who didn’t clean their place. Okay, so we do still listen to our mothers. A friend of the Accidental Locavore inspired this piece. He said he was having Valentine’s Day dinner cooked for him for the first time in his life, but that the cook was still going to get chocolates from him. Sweet. 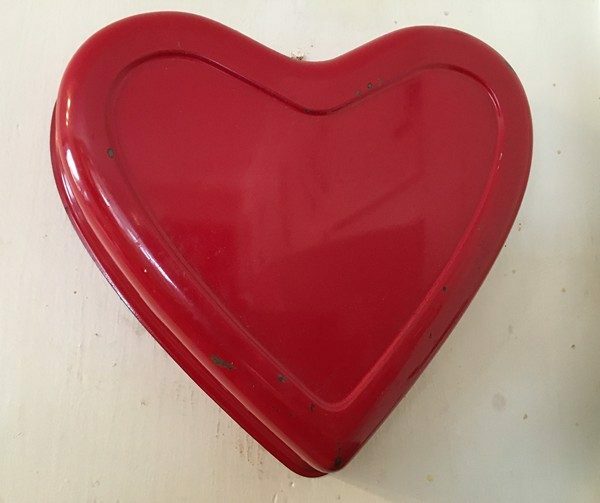 It made me think about alternatives to the traditional heart-shaped box. Okay, or square box. Not that there’s anything wrong with chocolate in any form. Here are five chocolate desserts that are favorites and will be appreciated by anyone (and it doesn’t have to be Valentine’s Day). Always use the best chocolate you can find. Molten Chocolate Cakes: I laugh every time I see these on a menu. Why? Because they’re super easy to make and always impressive. Even if you don’t bake, you can pull these off. A few raspberries and maybe some vanilla ice cream and you’ve got a Valentine’s Day treat. Bonus: you can make them ahead, bring them with you and just pop them in the oven as dinner is wrapping up. 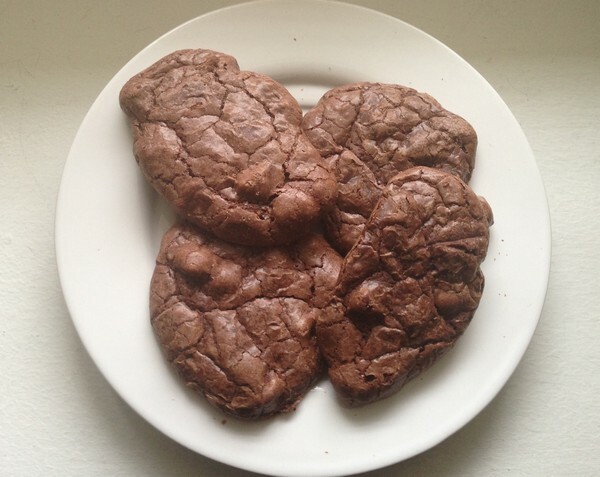 Ultimate Chocolate Cookies: These cookies with chocolate in three different forms are amazing! And being that cookies are totally ready to go, you’ll be excused if not all of them make it to the intended recipient. 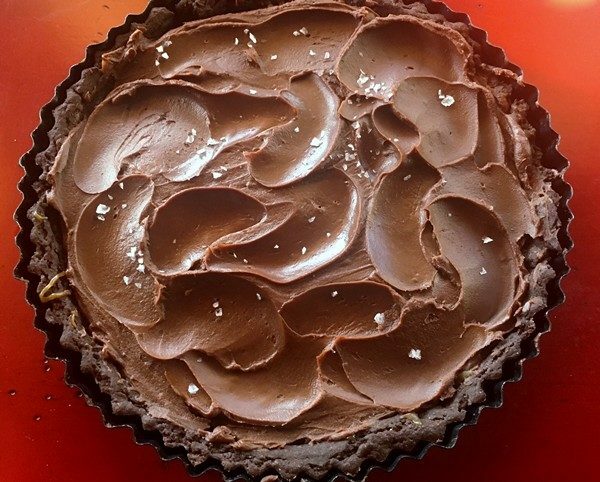 Caramel and Chocolate Tart: This is a little more complicated, but no less delicious. 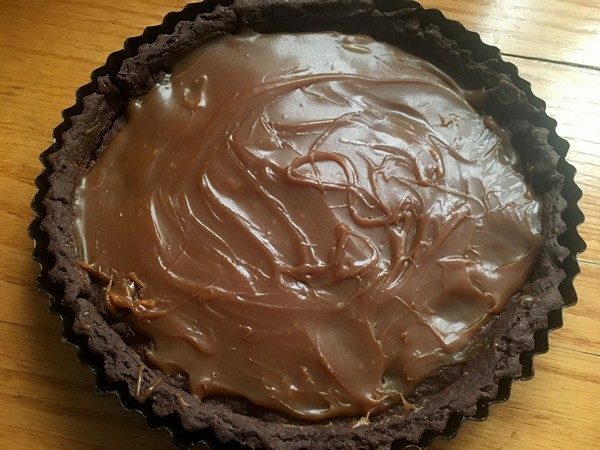 It’s a tart shell lined in chocolate and topped with caramel. Depending on your need to be trendy (or not), pick a garnish of Malden salt or some chocolate shavings. Salted Caramel Chocolate Mousse: Another winner that travels easily, this just takes chocolate mousse to another level. 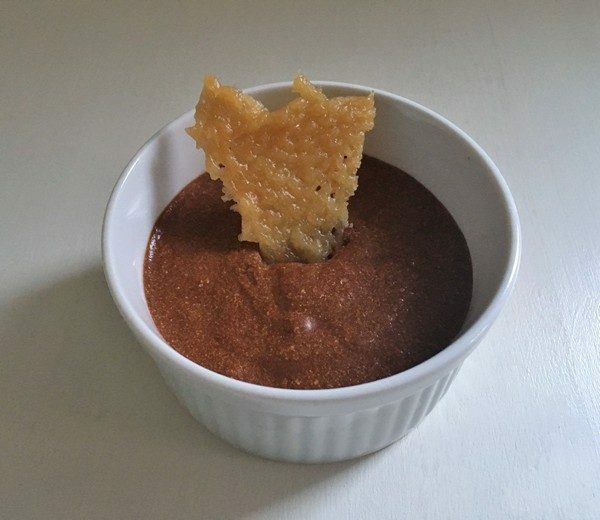 If you want to dress it up even more to impress your Valentine, some tuiles are easy to make and add a nice crunch to the mousse. Chocolate and Cheesecake Brownies: Chocolate, check. Cheesecake, check. Portable, check. Elevate your brownies to the next level with this recipe. While it will never replace a classic brownie in my book, the cheesecake topping dresses it up for a special occasion. 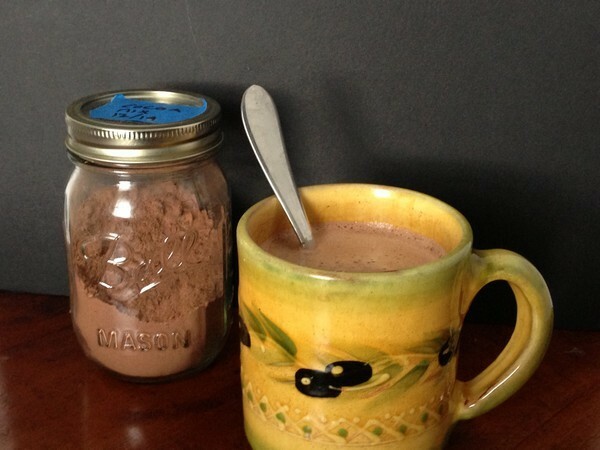 DIY Hot Chocolate Mix: For this you might want to find a pretty container (mine just sits in a Ball jar). Six ingredients and you’ve got a superior hot chocolate mix. It’s easily tweaked depending on how dark you like your cocoa. If you’re not a purist, some chipotle powder or coffee could be interesting. Which of these do you think would bring smiles to your Valentine, or any dinner guests? Sometimes you need to cook to take your mind off current events. 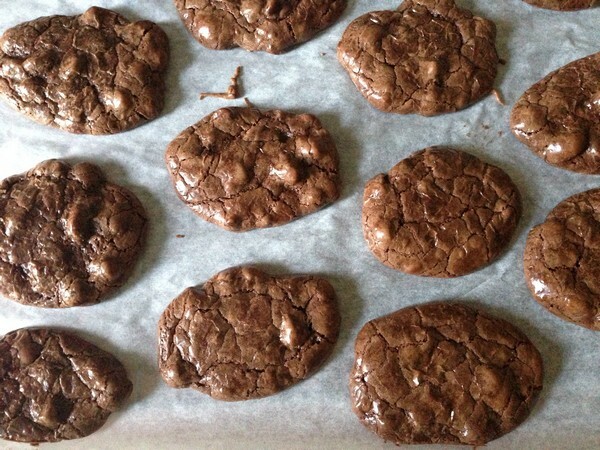 These ultimate chocolate cookies might distract you from things like election results. Might even put a smile on your face. Pull out a cookie sheet and give it a try. This makes about 12 cookies. Preheat oven to 350°. Melt unsweetened, semi-sweet chocolate and butter together in a double boiler until melted (or see update below). Remove and let cool. With an electric mixer, beat eggs, sugar, vanilla and coffee on high speed. Reduce to low speed and add chocolate/butter mixture. Add sifted ingredients and mix just until smooth. By hand, stir in chocolate chips and nuts. Line a baking sheet with parchment paper. 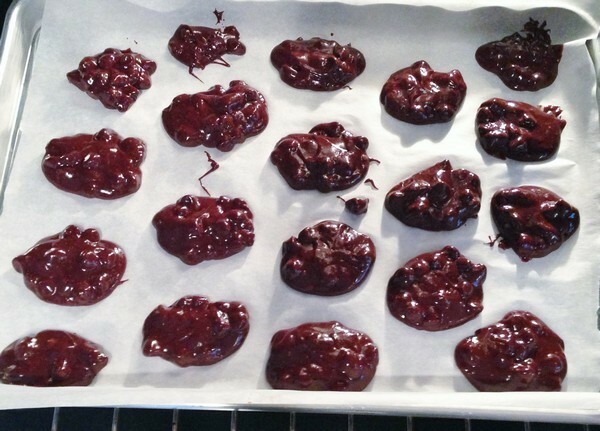 Drop tablespoon-sized cookies on sheet. Bake for 10-12 minutes until top of cookies get a cracked look. Remove from oven and let cool. Serve and enjoy! My verdict: This recipe came from an old friend and I had forgotten how good these cookies were! Frank tried them and loved them! They’re like a cookie version of a really good brownie, or molten chocolate cake. . I left the nuts out as I’ve had allergies, but they would be a great addition. I also left the coffee out as I like my chocolate unadulterated, but if you feel differently…While cookies aren’t a part of my normal repertoire, these are classics. Update: I’ve made these at least four times recently, and they continue to be great! 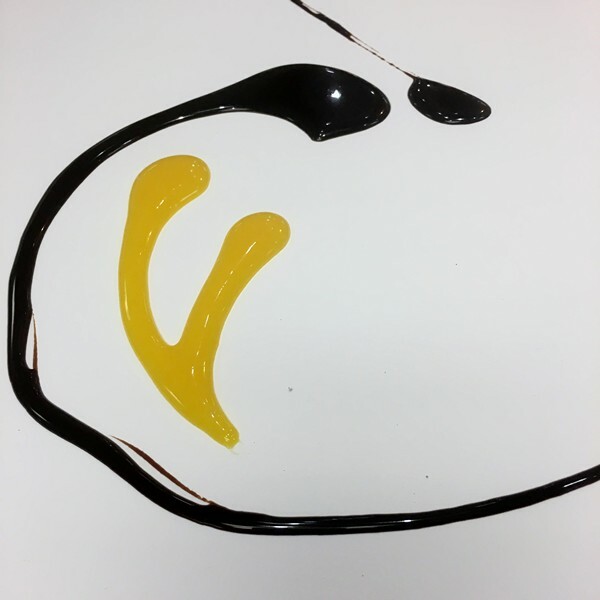 Recently, a friend said that he had melted the chocolate and butter in the microwave, so I tried it. About 90 seconds, but do it in 30 second increments. The Accidental Locavore’s friend’s recipe has this at the bottom: DISCLAIMER: Not responsible for anyone’s actions after cookies have been consumed!! !